Forward thinking marketers are looking toward the next generation of consumers and wondering how they can prepare for them. As more millennials enter the workforce, marry, and have families, they are fast becoming the biggest target market. 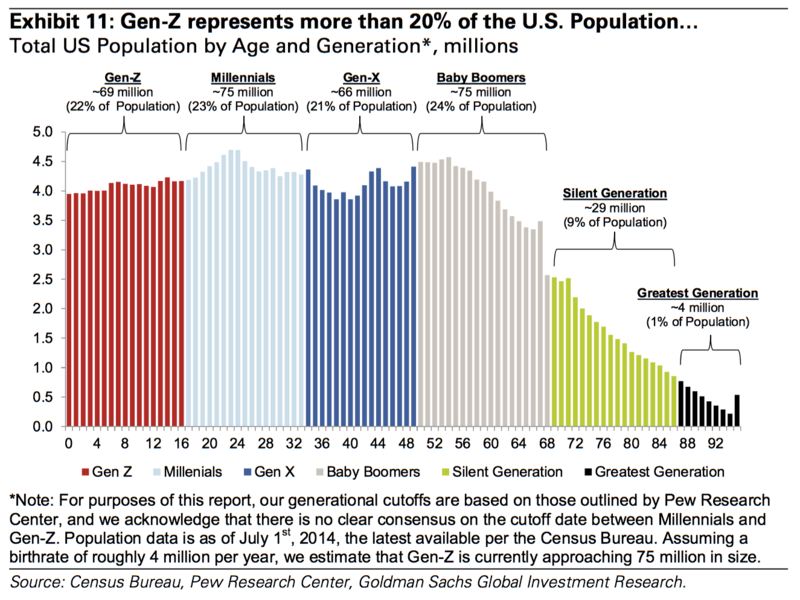 But how will the generation after them respond to millennial-driven campaigns? Planning for future generations of consumers is more than just important – it’s essential to the survival of a brand. Born between the years 1998 and the present, Generation Z are the first post-millennial generation who grew up with mobile technology and social media. In 2017 this puts them in the 0-18 year old age bracket, the eldest of whom your team might already be targeting in marketing campaigns. The Census Bureau estimates that by 2020, 50.2 percent of children under 18 are expected to be part of a minority race or ethnic group. Marketers need to be conscious of Gen Z’s ethnic diversity when planning outreach in the future. Personalizing the ads for each group will help your brand to speak to people in their every day lives. YouTube is fast replacing television as the primary method for Gen Z to learn about life skills, follow their favorite celebrities, and access general entertainment. Its appeal isn’t hard to see – like Netflix it provides instant value on demand and is viewable on the go. 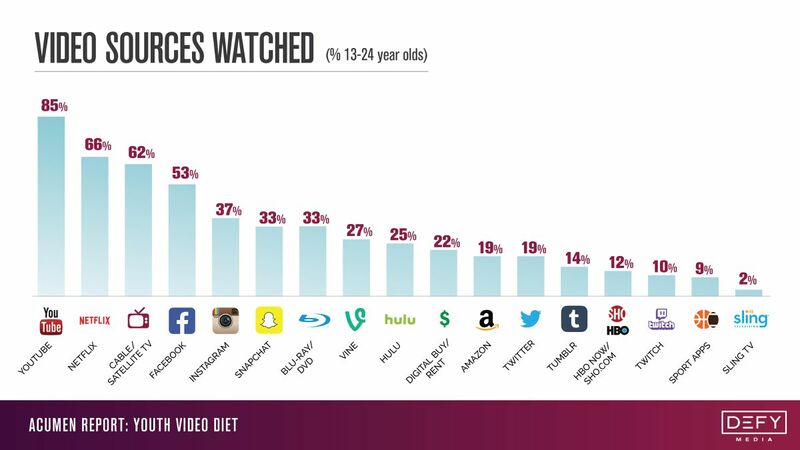 YouTube is the king of video, and it looks like it will remain king for a long time to come. Andy Tu, Defy Media’s executive vice president of marketing, told Mashable, “People still feel very connected to the creators,” on YouTube. This is another opportunity for brands to use YouTube influencers for their own campaigns. According to digital agency Deep Focus, 93 percent of parents say their Gen Z kids influence family spending decisions and household purchases. This is an incredible amount of influence that many marketers may not capture in ordinary demographic analysis. This information shows that you may not need to be waiting for Generation Z to come of age before incorporating them into your marketing strategy. Learning how they influence their parents’ decisions will be an important factor in how you speak to them in content, and on social. 62% of Generation Z respondents in a survey conducted by HRC Retail Advisory deemed friends as the most influential party on their buying decisions. (ChainStoreage) Why? Because, like millennials, Gen Z trust the opinions of real people over marketers. Deep Focus’ survey revealed that 63 percent of Gen Z prefers to see “real” people in ads, while just 37 percent favor celebrities. This means brands will see bigger returns from influencer-drven marketing campaigns than from other digital ad spends. Influencers attract long-term customers because their audience are already engaged with the topic that an influencer specifies in writing about. The blogger often interacts with individuals in the comments of their content, and with their live video audience. Gen Z, and Millennials like getting to know how products function in real-life situations. The audience trusts the bloggers opinion. They feel like they can ask the influencer questions, and trusts them to give real answers.